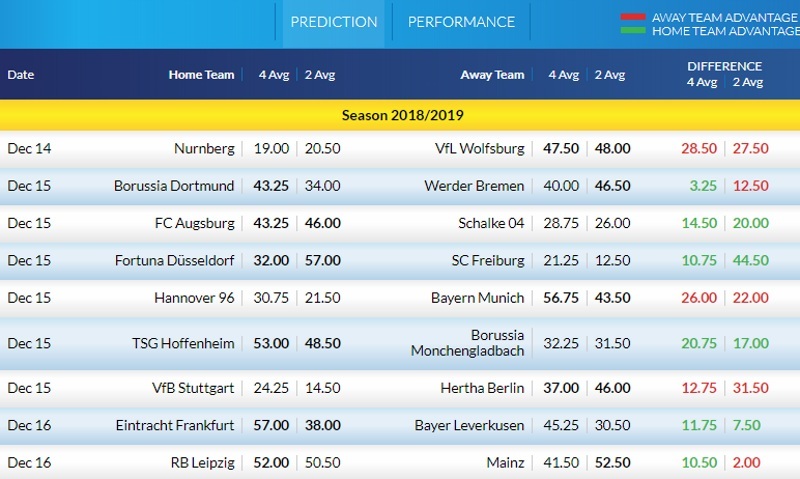 The odds and ratings for this week's Bundesliga I and II matches are out. 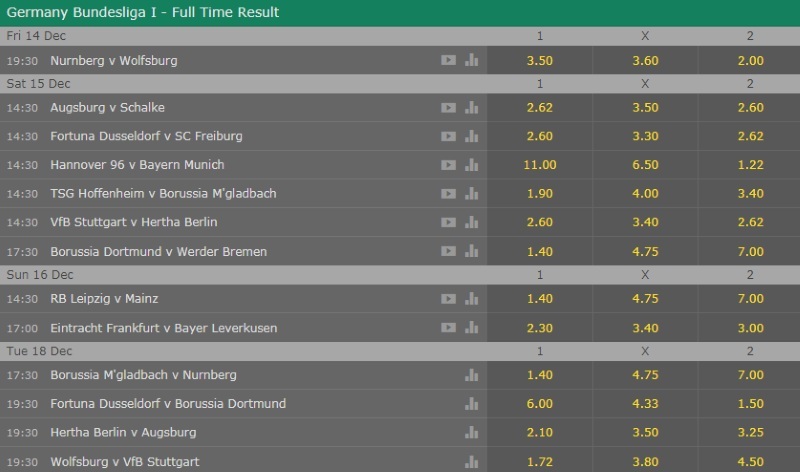 I've added in next week's midweek Bundesliga I matches as well to create a bumper week. Take a look at the stats above then share your recommended bets with us all below! 71% of Wolfsburg's matches had over 2.5 goals scored in Bundesliga. 70% of Wolfsburg's conceded goals were conceded at home in Bundesliga. 38% of Stuttgart's conceded goals occurred after the 75th minute in Bundesliga. Due to having been away for a couple of days and the presence of midweek fixtures, I'll be saving my preview this week for after this weekend's action. I'll look to get some thoughts on some weekend games up over the next 24 hours. Feel free to post up any bets you guys have lined up. It's a testing set of fixtures here! So we need to galvanise and mine our thoughts! Yes, Dortmund played 0:0 with Club Brugge and 0:2 at Monaco. The truth is Club Brugge also played 0:0 against Atletico Madrid and Monaco is poor this season and didn't have interest in that game. In this game I see both teams pushing forward, at first place Dortmund going for the title, but Werder is nasty and agressive and they will not give up without shots fired no matter who is their opponent. 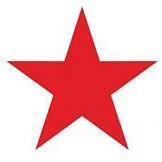 They lost 1:2 against Bayern and even though Dormtund is first I rate them to be similar with Bayern. Dortmund rested Reus and Sancho against Monaco probably for this game but they also have Pulisic, Alcacer etc. imo if Leverkusen scored 6 goals against Werder and M'Gladbach 3 goals then Dortmund surely can score two goals. And as I said Werder is very agressive and for example in the game against M'Gladbach even though they lost they had more chances. This season playing at home Dortmund didn't concede a goal only against Nurnberg and Freibrug while Augsburg scored 3, Frankfurt 1, Leipzig 1, Hertha 2 and Bayern 2. After two clean sheets for Dortmund it is time for Werder who managed to score in it's all away games this season. In last 4 season at Westfalen Arena there was BTTS&OVER 2.5 and in last game Werder even went away with a win. I see 3:1 in this game. Well this is obvious isn't it? Both attacking teams with huge offensive potential with huge desire for 3 points. Hoffenheim to climb up to the European spots and M'Gladbach to keep their second position or even attack Borussia Dortmund if their appetites are big enough. In Hoffenheim games BTTS is inevitable but I just hope it doesn't end in a 1:1 draw since the odd is poor. Over 2.5 is only @1.35 and BTTS is at the same price, so only one goal more to double the price I had to take it. In this game I expect tons of counter attacks, going back and forth across the field, just like it was in Hoffenheim-Shaktar game and the result should be similar if everything goes as expected. M'Gladbach could not score against Leipzig even though they have 3-4 goals a game in them but Leipzig has somewhat better defense and game control than Hoffenheim. The goal will come in this game and the other side will have to push forward. I just hope M'Gladbach for some reason scores the first goal and decides to protect it. I see 3:3 in this game so if you like it OVER 3.5 is @1.85 what is also poor but it is a huge probability and bookies know it. I rather take lower odds on at least three goals, I can hardly imagine one team will have 3:0 result in this matchup. BTW something is fishy in Stuttgart - Hertha game because Hertha WIN seems obvious and those odds don't make sense. They know something I don't so I will avoid it. And I think Dusseldorf might take all three points against Freiburg, they have goals in them and they need points. Freiburg seems to play better against top teams. 41% of Frankfurt's conceded goals occurred after the 75th minute in Bundesliga. 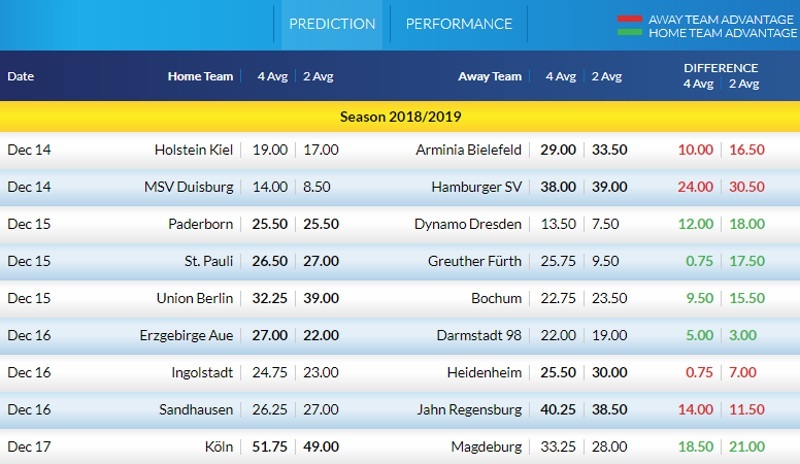 39% of Magdeburg's conceded goals occurred after the 75th minute in II Bundesliga. 63% of FC Köln's conceded goals were conceded at home in II Bundesliga. Monchengladbach have won 100% of their home matches in Bundesliga. Dortmund have scored in each of their last 6 away matches in Bundesliga. 75% of Düsseldorf's goals have been scored in the second half in Bundesliga. FC Augsburg conceded at least 1 goal in each of their last 7 matches in Bundesliga. This bonus of midweek Bundesliga fare just days before Christmas festivities begin offers up some decent value and one of those matches delivering is the lower mid-table clash between Schalke 04 and Bayer Leverkusen in a 5:30pm kick-off this Wednesday night at the Veltins-Arena. Schalke 04 have endured a disappointing season so far. Domenico Tedesco's side are sat in 13th position which is a world away from the runner up spot they secured last campaign against the odds. Form has improved as the season has progressed. The start of five straight defeats was a real cause for concern but one defeat in the last four league matches has cheered the fans up slightly. Bayer Leverkusen are another side that are performing well below what their fans would hope. The club that finished 5th last year are loitering in 11th place. Heiko Herrlich has seen his team's season almost directly mimic Schalke 04's with a start of four straight defeats and now just one loss in their last four league matches. The trouble is that solitary defeat was their last game. One key issue here decides the result of this match for me. Confidence in front of goal. Schalke 04 really had problems earlier in the season with hitting the back of the net. However, they've now scored 11 goals in their last 6 league matches. That's not quite the same for Bayer who have only scored more than one goal once in their last six league games. Luckily, both defences aren't great so we could still see goals. I can see this being a game that the home side could sneak. @Magic0024, @malabgd, @sajtion, @betcatalog, @DrO, @Neubs, @Xcout, @Banter1, @Bayern, @DonPaulo, @fhuefdsa, @Franger83, @Uriel18, @VYA, @EuroDream, @thinkpink63, and @JKos, what are you guys betting on here? Even when both matches between them last season had low scoring, the previus 4 ended up with more than 2.5 goals. Wolfsburg’s offensive is in good shape, and Stuttgart defense is poor on the road. 67% of Hannover 96's matches had over 2.5 goals scored in Bundesliga. 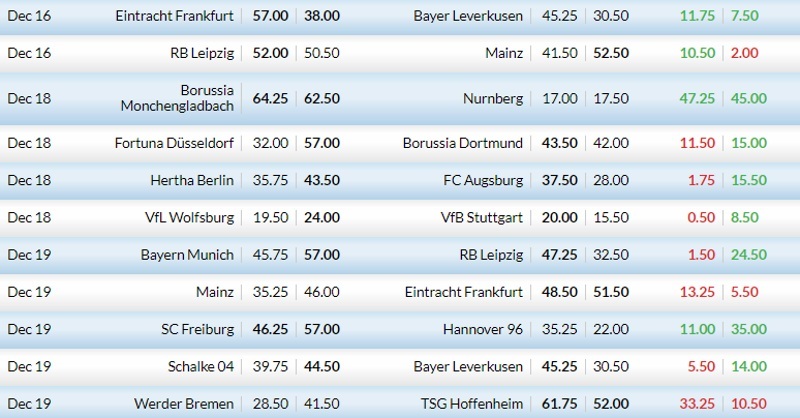 73% of Frankfurt's matches had over 2.5 goals scored in Bundesliga. I think the best option here is the AH, Robert Lewandowski is playing excellent with a great number of goals. Leipzig have one of the best defensive records of the league, but they havent keep a clean sheet, besides Bayern is a better team than the last oponents the Leipzig had. so Bayern should win easily. 31% of B. Monchengladbach's conceded goals occurred in the first 15 minutes in Bundesliga. 75% of Dortmund's matches had over 2.5 goals scored in Bundesliga. 69% of B. Monchengladbach's matches had over 2.5 goals scored in Bundesliga.